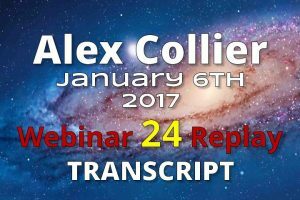 Alex Collier was live via video stream on January 6, 2017. His twenty-fourth 76 minute LIVE webinar including more than thirty minutes of questions and answers. Hosted by James Harkin from AlexCollier.org and JayPee from WolfSpirit.tv (a subsidiary of WolfSpiritRadio.com) Alex presented some great insight into what is happening in this world and beyond. The webinar was hosted on Friday January 6, 2017 at 2pm EST. 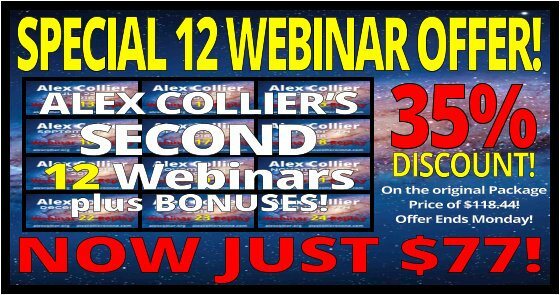 Alex Collier discusses many topics in this webinar including: Current world situation, Solar system update regarding strategic placement of benevolent forces, Vibrational frequency fields we are in and are going to enter and More bits and pieces.